Musica Orbis concert series brings together the most talented foreign performers visiting Prague to offer a particularly attractive programme. This year, Musica Orbis celebrates its 7th anniversary. Traditionally, youth and semi-professional orchestras of the best quality with musicians from all around the world perform in the most prestigious concert halls in Prague. Follow our website to learn more about this year´s full programme. Are you a musician? Learn more about Muisca Orbis HERE. The Denver Young Artists Orchestra was formed in 1977. 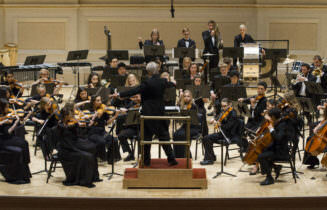 Their mission is to provide the finest possible youth orchestra programs, inspiring and educating young musicians through the performance of great works of music, and offering valuable cultural opportunities to the community. For over 40 years, DYAO has nurtured the talents of the Rocky Mountain region’s finest young musicians. In the past season, DYAO has received the Mayor’s Award for Excellence in the Arts as well as The American Prize for performance of American music. MON April 29th 9 am – 5 pm Office The Prague Concert Co.
THU May 16th 9 am – 5 pm Office The Prague Concert Co.
THU May 30th 9 am – 5 pm Office The Prague Concert Co.
MON June 10th 9 am – 5 pm Office The Prague Concert Co.
All of collected voluntary entrance fee will be donated to Portus foundation. 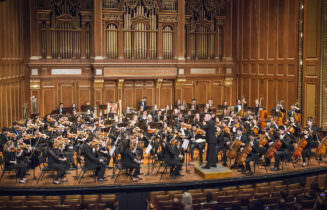 Founded in 1962, the Youth Philharmonic Orchestra (YPO) is the senior-most orchestra at New England Conservatory’s Preparatory School. It is composed of 90 gifted young musicians. YPO’s Sixteen international concert tours have enriched audiences on four continents and established YPO as one of the finest youth orchestras in the world. WED June 19th 9 am – 5 pm Office The Prague Concert Co.
All of collected voluntary entrance fee will be donated to Diaconia foundation. A Californian orchestra will play Smetana and Dvořák and much more! 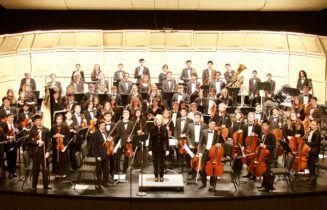 The Marin Symphony Youth Orchestra was founded in 1954. The Marin Symphony Youth Orchestra has performed in concert alongside many notable artists including Midori, Zuill Bailey, and Carlos Santana. MSYO alums have pursued musical careers as graduates of Yale, Harvard, Juilliard, Curtis, Oberlin, Eastman, Cincinnati, and other leading universities and conservatories. Many graduates play in major city orchestras and symphonies from San Francisco to Dallas, Pittsburgh, New York, and beyond. All of collected voluntary entrance fee will be donated to Post Bellum foundation. 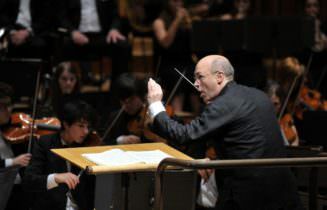 Slovak Youth Orchestra is a unique project connecting musicians from various Slovak conservatories and music academies in one ensemble. 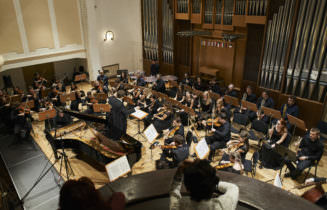 The orchestra was established in 2016 in order to support education of the young generation of professional musicians and to develop a level of performing art in Slovakia. THU July 25th 9 am – 5 pm Office The Prague Concert Co. Hailed by Sir Simon Rattle as “an incomparable ambassador for the dynamism and excellence of British youth” the London Schools Symphony Orchestra (LSSO) has for over sixty years been celebrated as a potent symbol of the talents and achievements of London’s finest young musicians. Previous guest conductors have included Sir Colin Davis, Sir Charles Mackerras, Sir Simon Rattle, Sir Richard Armstrong, Tamás Vásáry, Edward Gardner and Leif Segerstam. Concert Club members have the option of buying tickets for discounted prices. Whereas regular tickets to concerts of the Musica Orbis series cost CZK 500, Concert Club members can buy them for just CZK 150. You can only book tickets after logging in. If you already are a member of Concert Club, please log in with you email and password for Concert Club. If not, register please. You can book seats for concerts after registration. That’s okay, we can send you a new one by email. Enter the email address that you are registered with at the Concert Club, and we will send you a new password.